Motorway City Islamabad is a housing scheme by Qazi Enterprises. It is located close to Islamabad International Airport. The project is not a new one but it didn’t attract investors because of the lack of development in the area. But now due to the airport, many neighboring housing schemes including Motorway City Islamabad have come into notice. 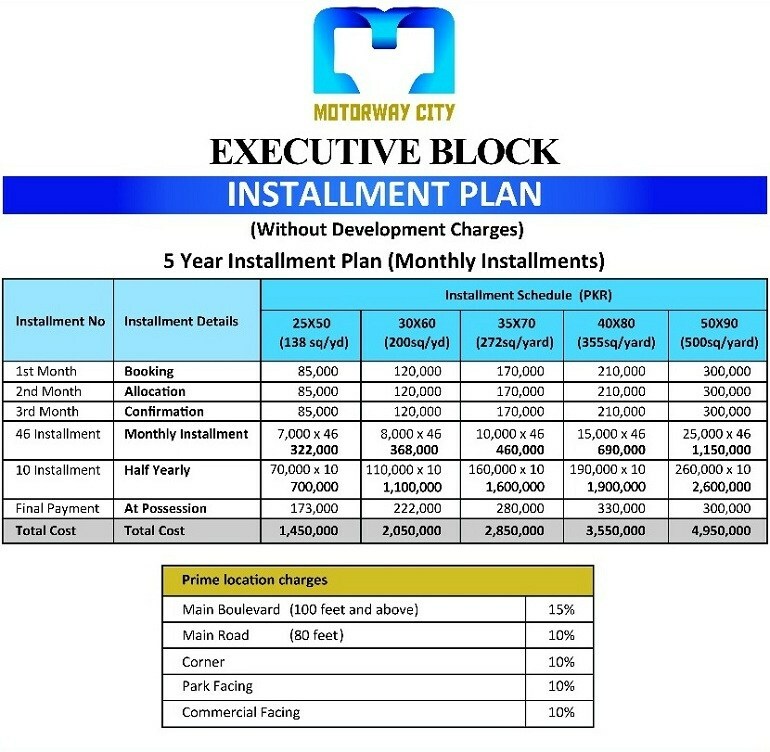 The scheme has come up with a new offer “Executive Block” which includes different sizes of residential plots. You can book them on easy installments. Qazi Group of Companies has been in the construction business for many years. They have successfully delivered projects such as Kohsar City, Razia Complex, Qazi Tower Rawalpindi, Family Apartment Murree 1-4, Qutbal Town, Crown Classic, and others. The society is located in Mouza Ratwal, Tehsil Fateh Jang. And it is about 10 km from Islamabad International Airport. This location of the project is significant considering the major development of the airport. Moreover, the CPEC route will pass through this location and so has attracted a lot of investors and developers to make full use of it. 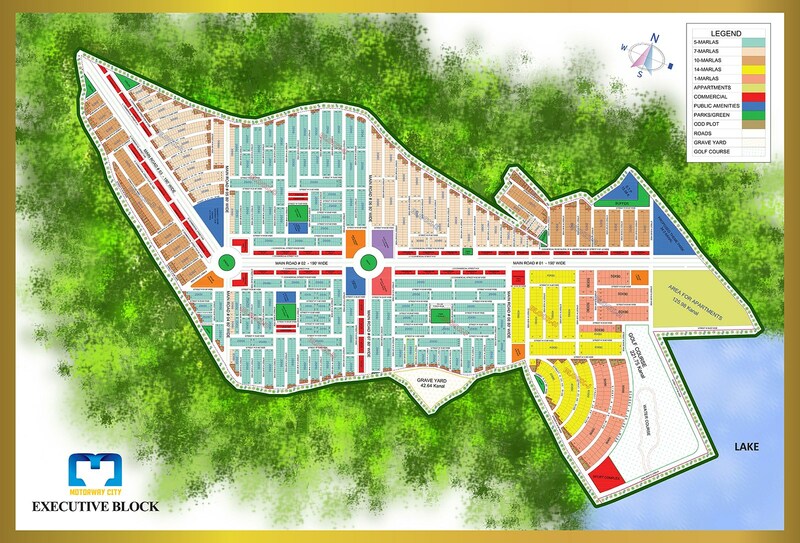 Neighboring housing schemes include ICHS Town, Soan Garden Phase 2 and Green City etc. The executive block of society offers high-quality living in a green and serene environment. 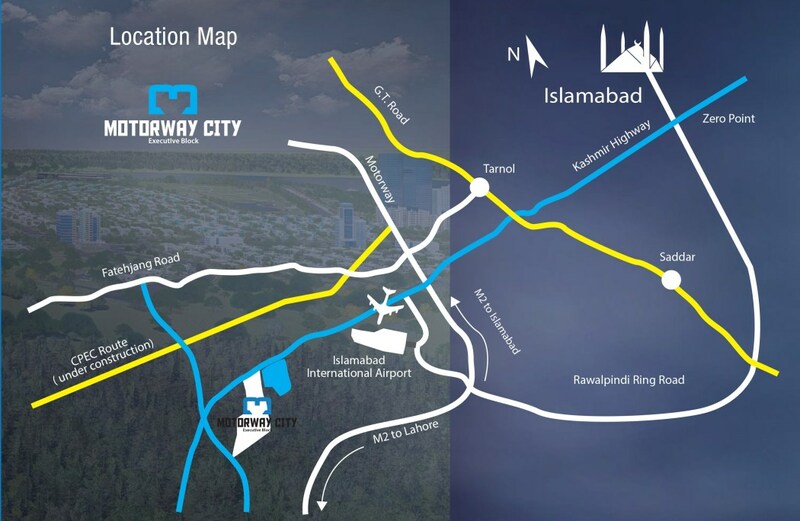 If you’re looking for “affordable modern living”, then look nowhere other than Motorway City Islamabad. Motorway City’s commercial area is a promising place to invest in, offering a wide scope for future trade and business activities in the federal capital. People seeking for future business opportunities find Motorway City Islamabad as the best suitable option in the area. 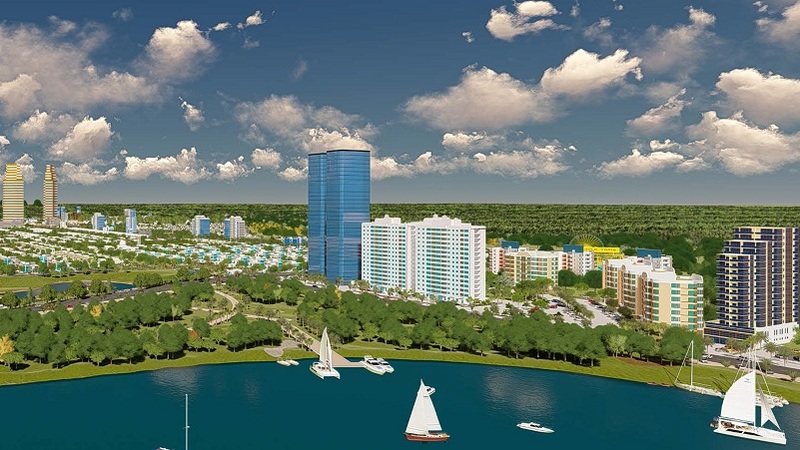 The capital you invest here will multiply in the shortest possible time. Plot sizes include 5 marla, 7 marla, 10 marla, 14 marla, and 1 kanal. Booking starts from 5% down payment followed by 5% allocation and 5% confirmation charges while the remaining amount is spread over 60 monthly installments. Extra charges will apply if you book category plots i.e. main boulevard, corner or park facing. 10% discount applies if you pay the full amount at the time of booking. Executive Block map has also been released as you can see below. You can check the respective locations of each size of the plot before you submit your booking application. Plot allocation is subject to computerized balloting. And only the successful applicants will be eligible to continue their payment plan. Those who fail in the ballot will be given a refund of their down payment minus the processing/membership/registration fees. Balloting for plot numbers will be done after the first ballot in due course of time.